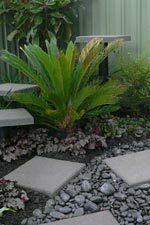 Garden Paths are not all about paving and hard surfaces, with so many materials available a garden pathway can be anything from a grassed path with few stepping stones to a paved path with defined edges. 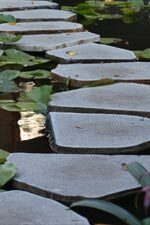 Both design and practical considerations to take into account when constructing or planning a garden path, walkways or installing stepping stones. 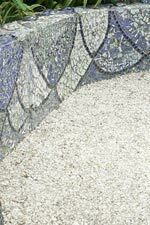 Garden path materials are so varied and can include, bricks, pavers, crushed rock, asphalt, concrete and rock such as bluestone. 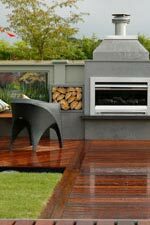 Cost considerations as well as design ideas play a part in choosing materials. 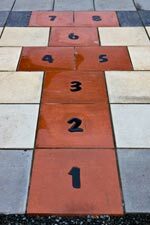 The functional purpose of a garden path is to provide for easy access to buildings, sheds and entertainment areas. They also provide access to the garden itself, a way to enjoy the garden with guidance and access for garden maintenance. 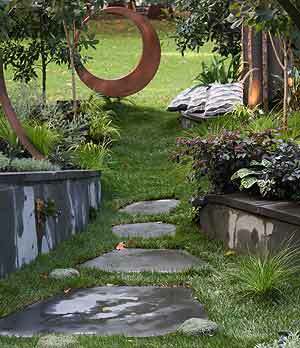 So be practical here, paths need to wide enough for the purpose, some wide enough for a wheel barrow or mower. 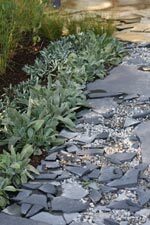 A garden path can also be used to lead the eye to focal point in the garden, perhaps a sculpture, new garden room or even a feature plant, garden paths serve many functions, both for access and aesthetics. 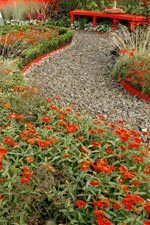 Garden paths need to fit in with overall garden design, materials and path design range from mulch through to brick and asphalt, we provide some pictures of garden paths to help inspire you in your attempts to create the ultimate pathway for your own garden.